Upon completion of the checkout process, you will receive an email to the email you set with all the details of the transaction you have just made. However, sometimes, the email might be sent to your Junk/Spam email. Please check to see if it is there. Also please whitelist or add info@skiandboard.com.au to your contact list in order to ensure you receive all communications from us including tracking details. Import duties, taxes, and charges aren’t included in the item price or postage cost. These charges are the buyer's responsibility. Please Note: All transactions are charged in Australian dollars. Due to the constant fluctuation in exchange rates, this may result in some very small variations in the dollar value that is charged to the customer. Plus Snow cannot be held responsible for any variations in International exchange rates that may be imposed by a customer's banking institution including additional fees. 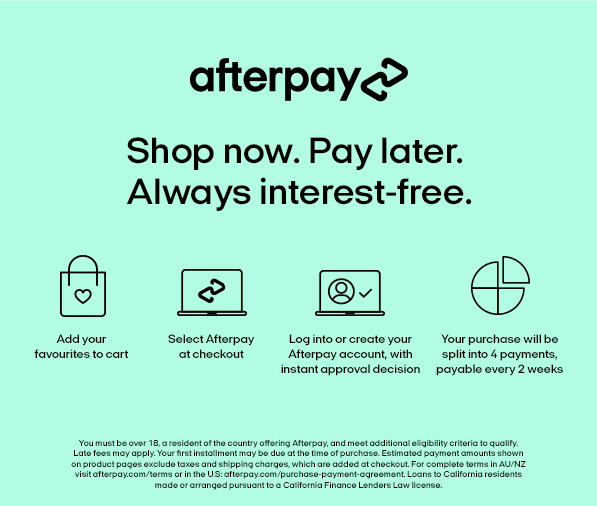 AfterPay - Shop now and pay later. Direct Deposit - Please contact us for further details.